Hanoi (VNA) – Deputy Minister of Agriculture and Rural Development Le Quoc Doanh held a working session in Hanoi on August 2 with Vice Minister for Agriculture and Food Security of Mozambique Luisa Caetano Meque to discuss promoting agricultural ties. 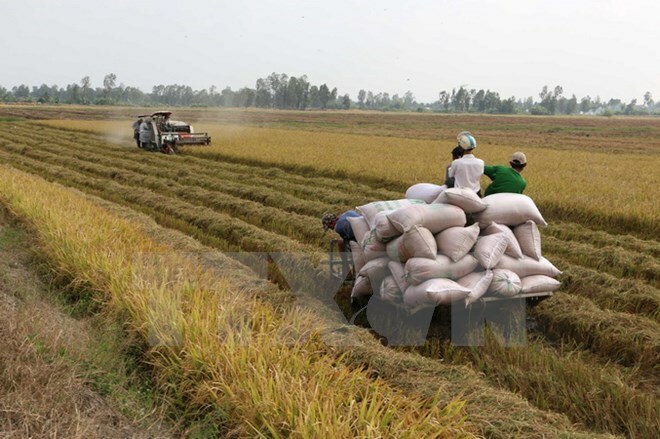 Doanh said Vietnam is willing to share experience with Mozambique in rice and soybean production, and has partnered with several African countries to successfully develop agriculture. He also suggested seeking funding from the third parties for their projects. Meque, for her part, spoke highly of joint projects on growing agricultural plants in Mozambique, saying that Vietnamese rice varieties grown in the African country generate yields beyond expectations. Mozambique wants to work with scientists to study short-season varieties that are resistant to drought, pests and salinity, and partner with Vietnam to build a cashew nut processing plant using Vietnamese technology in the African country, she said. She added that Mozambique is strong in cotton cultivation with a total capacity of 80,000 tonnes per year and invited Vietnamese fiber plants to get involved. The guest said Mozambique will also cooperate with Vietnam in fisheries in the near future.